Head: Cand. (PhD) of Techn. Krizhanovsky, Andrew A. During 1987-2010 the research was carried out in the field of building intellectualized computer systems and expert systems. Research and study in the area of statistical expert system creation were carried out jointly with the laboratory for probability theory and computer statistics. Before 1986 the laboratory paid principal attention to the problems of system software maintenance for different computer generations. Creation, development and maintenance of information resources for conducting fundamental scientific research. Study of new information technologies and their use for solving the problems of scientific research automation in Karelian Research Centre of RAS. Development of mathematical models and algorithms for optimal control of dynamic data structures. Development of mathematical models and algorithms for solving problems of computational linguistics and text processing. Development and maintenance of software for information and telecommunication systems of Karelian Research Centre of RAS. 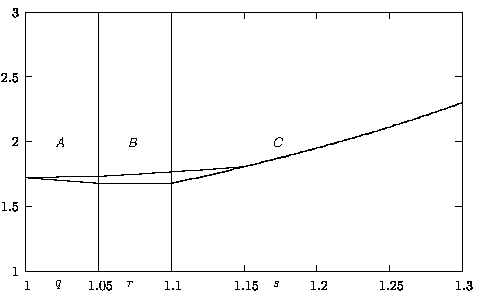 Theory of dynamical systems with structural variations. Methods of ecological and economical systems dynamics mathematical modeling. Geometric theory of dynamical systems. Theory of stability of hybrid systems structures is constructed; on the base of proposed notion of evolutionary time the method of dynamical decomposition for structural trajectories analysis is developed . Set of mathematical models of economical dynamics in the period of structural variations is developed; theory of systems evolutionary dynamics is proposed. The last geometric Poincare theorem is generalized: the existence of fixed points for a mapping of non-invariant topological annulus is proved. The continuous and differentiable mappings, without measure preserving property, satisfying the generalized twist condition are considered. For measure preserving homeomorphisms satisfying the twist condition, the existence of at least two fixed points in case of non-invariant annulus with no star –shaped inner boundary component is proved [3, 4]. We find the lower bound for Price of Anarchy (PoA) for the general case of N machines in the maximizing the minimum machine delay game with uniformly related machines. For the case of 3 machines we find its exact value. We prove that the PoA does not change or increases when an additional third machine is included into the system with two machines. Also we propose a method of computation the PoA value and illustrate it for 3 machines . Yu. V. Chirkova. Price of Anarchy for Maximizing the Minimum Machine Load // Advances in Systems Science and Applications, v. 17, n. 4. 2017. Pp. 61-77. Kirillov A.N. On the stabilization of the linear hybrid system structure // Issues of analysis. 2014. Vol.3. № 2. P. 52-58.